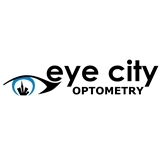 Eye City Optometry (Mountain View) - Book Appointment Online! At Eye City Optometry, our doctor provides a full-range of services from comprehensive eye exams for glasses and contact lenses as well as diagnosing and treating disorders of the eye. Whether you have a red eye emergency or just want update your glasses, we have the experience, compassion, products, and technology to help. Our doctor stays up-to-date with today's cutting-edge technology, contact lenses, pharmaceutical drugs, vision therapies, and Lasik information to meet all your visual needs. Ask about our high-definition lenses!